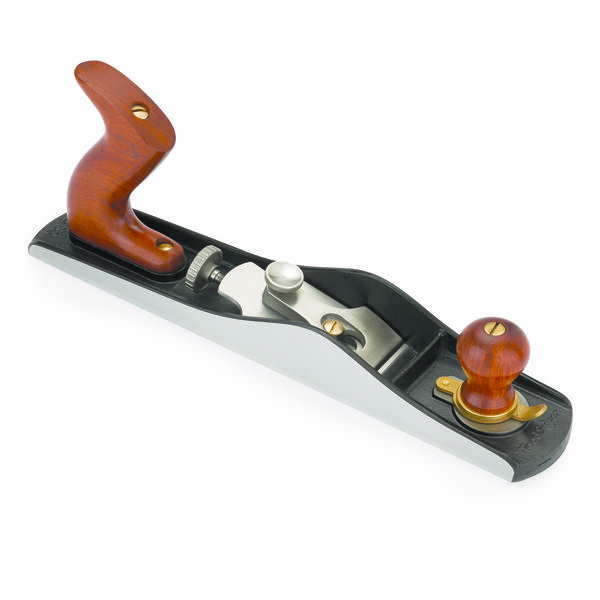 We are proud to offer a Woodriver No. 62 Low Angle Jack Plane to this months "What's It" winner. This months "What's It" is sponsored by our supporter Woodcraft Supply. It looks like the metal plate can be used in either a convex or concave configuration. I'm guessing maybe for texturing or shaping something like stucco or adobe walls. 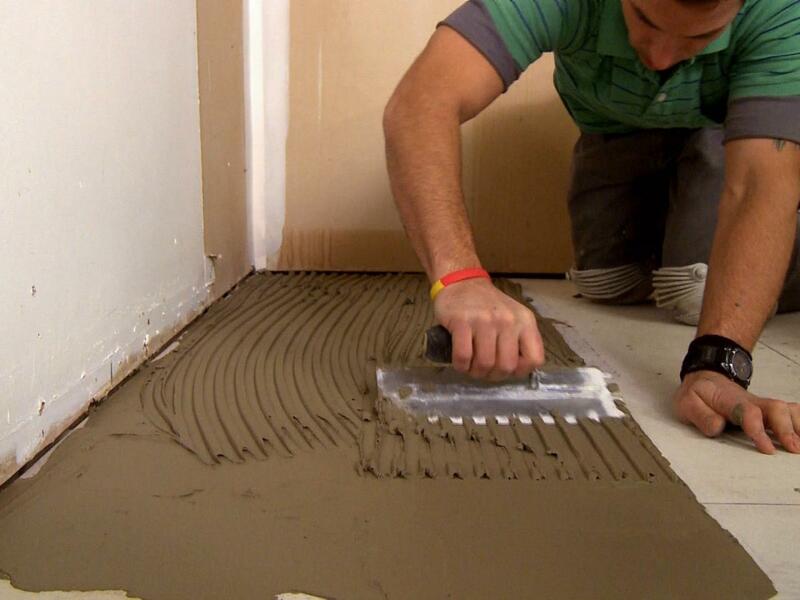 Could also be a Plasterer's scratch coat tool for curved surfaces. 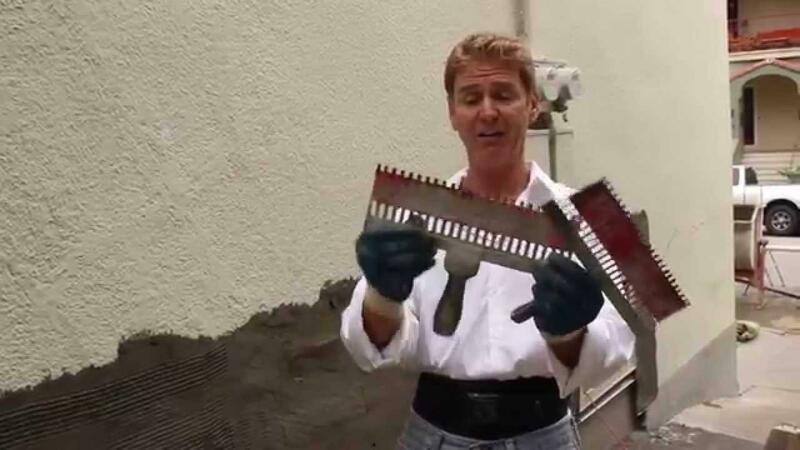 I saw a tool listed on thestuccoguy.com, called a scratcher or scarifier, meant for a scratch coat on, I'm guessing, flat surfaces. Looked like a fork with 24 tines. I was thinking our tool could be used for the same purpose, but then realized the grooves appearing to go across the face were on the wrong face to roll on grooves to a flat surface of stucco, plaster, or etc. Of course, I am thinking of the handle being repositioned to protrude from the other face. But now, I think Steven's idea could work to roll grooves or scratches across a curved surface, such as a column, just as he said. What I am having a hard time seeing, is the blade flat or arched? If that is a flat blade, it is one heck of an optical illusion. Still looks curved to me. Thing is, in relation to the handle, one picture looks like the blade is convex, and the other picture looks like it is concave. I thought it was curved too. Thought it might be just what I need for scraping the bottom of the barrel. Are we sure these 2 pics are of the same item? The top pic is on a plain white sheet. The blade is slightly curved convex (curved away from the handle). The bottom pic is on a striped sheet and it is curved concave (curved towards the handle) and tapered in height. The item tag #733 is the same Chuck, I think what we are seeing is the flash from the camera flooded the color and eliminated the stripes on the one image. 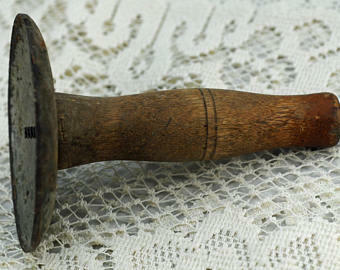 I say it is a vintage scraper and I am sure the was more than one manufacturer. Here is one similar and notice the bolt on hand guard which could easily be missing over time. I am sure there was various blades offered for it too. Here is a link to a description of it. Scroll halfway down the page and look for the picture and story. 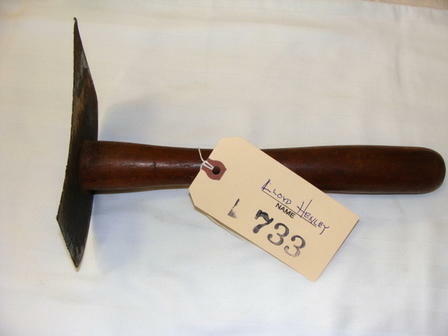 It says the handle slips over the upper edge and is held in place by the nut. Even if the tag is the same, I can't get my mind wrapped around the 2 pictures, must be a distortion by the camera lense. One shows it convex,the other shows it concave, neither one shows it flat. May look curved....but it is mainly just tapered, along both edges.....Wider on the left side, both the toothed AND the non-tooth edges taper down to the right side. Look where you can see under the narrow end, light is coming through. 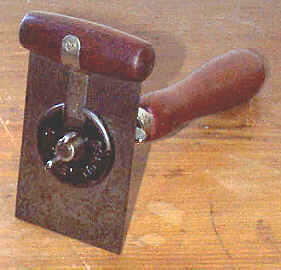 May have been used by Plasterers, to do fluted details. 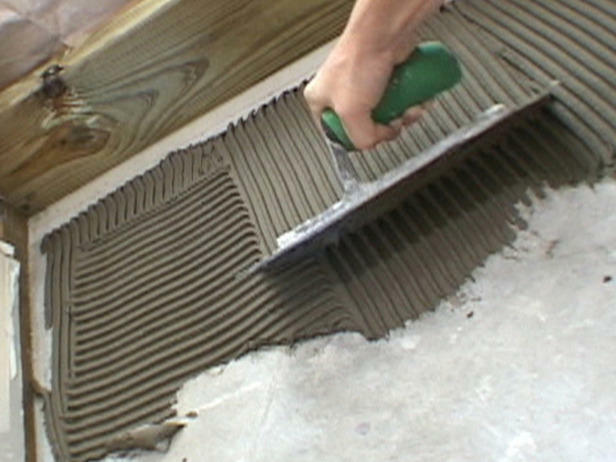 The straight edge to level the "mud" then flip over to do the flutes. If the blade is not flat, then it is not a straight taper on it. Both the top and bottom are tapered like a tilted smile. This means the top part with the teeth could only be used on a curved surface. 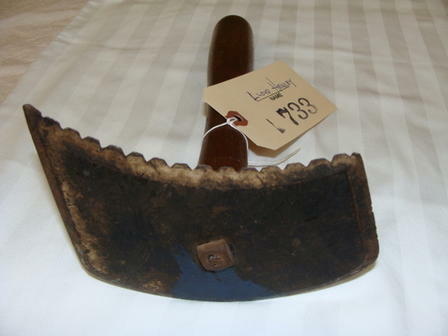 Maybe it is an animal hide scraper.